–– you’ve grown up dancing to these hits, and we have some terrific news coming your way.In an illustrious career spanning over a decade, Sean Kingston has collaborated with international artistes like Flo Rida, Justin Bieber, Sean Paul and Soulja Boy, amongst others, including with an Indian singer Parichay for a single ‘Saare mundeya nu’. His debut single, ‘Beautiful Girls’, hit the number one spot on Billboard Hot 100 – and you can now watch him perform it live! 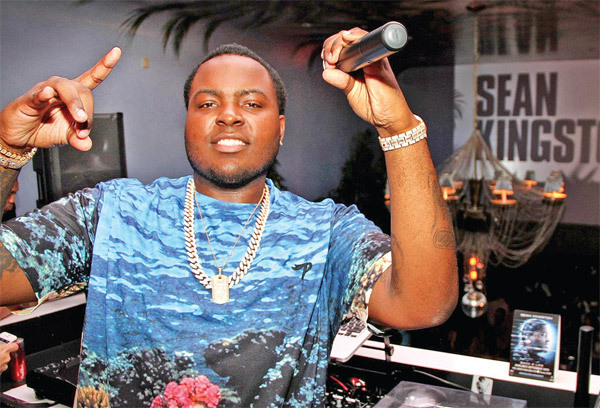 Jamaican-American singer and songwriter Sean Kingston is coming to Goa to perform his famous chartbusters, live! Speaking about his first tour to India, Sean stated that he is super excited and is looking forward to rocking it with the fans. He added that India to him is about culture, talent and fans. The man, who is all about setting the right vibe,felt that he can create that perfect vibe when he performs live. He also pointed out that his collaboration with Indo- Canadian artist Parichay garnered over a million views and he is open to collaborating and associating with talents from India. He also observed that globally, people are listening to different genres, especially with music festivals happening around the world, which helps fans understand and be well versed with all kinds of music genres. He has always been a musician who has looked to innovate and experience with music and genres and it has worked for him and his fans, he added. The singer, who is known for his R&B, Pop, Reggae, and Rap songs will be performing at Oktoberfest Goa 2018. Casino Strike presents the eighth annual Oktoberfest Goa from October 26 to 28, 2018 at DBGround, Campal, Panjim. Organised by Bullseye Entertainment, Oktoberfest Goa is an amazing opportunity to sample new craft beers, amazing local food, all in a fun environment. “Oktoberfest Goa gives everyone an opportunity to enjoy great music, delicious food and some well crafted brews,” said Bullseye Entertainment’s Founder, Munna Ruknuddin. “Oktoberfest Goa 2018 is a celebration of food, family and craft beer! We strive to promote craft beer created in Goa, in addition to creating a brew culture with memorable experiences for everyone,” said Sharlene Pinto, Co-founder of Oktoberfest Goa. Admission and parking are free. The event includes live music, numerous food stalls, a beer garden and a kid zone. A26, True Blue, Raagas to Riches, Smooth, Brothers in Arms, Lynx, NH17, Genny Live, La Vida, The Coffee Cats and more will perform over three days.